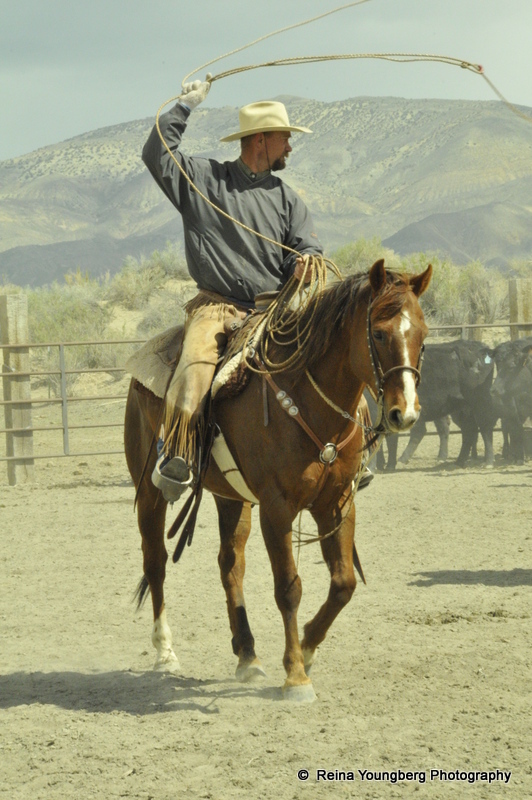 Jeff Hanson was raised on the ​big outfits of the Great Basin and buckarooed throughout several western states. 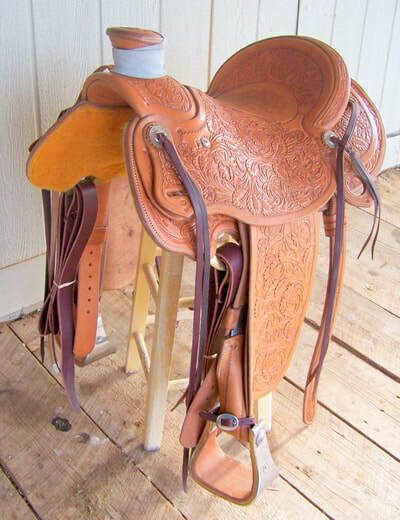 He learned to work leather and rawhide from his father, a lifelong buckaroo. 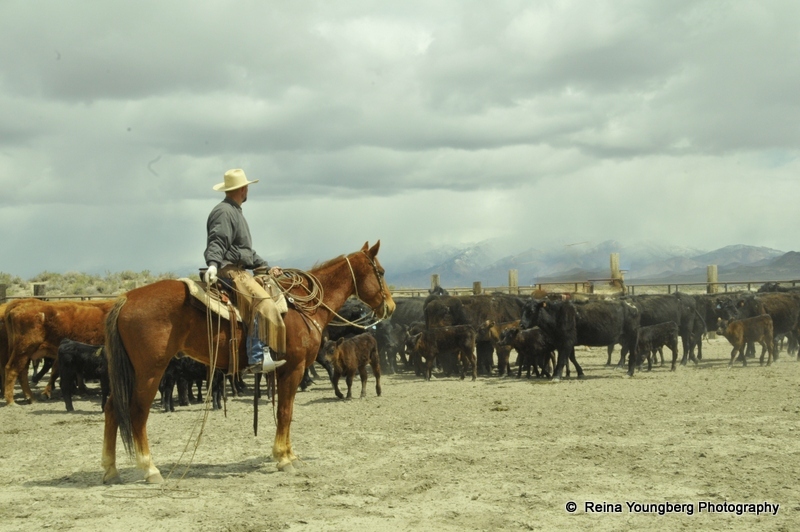 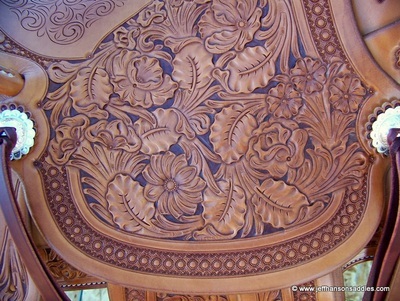 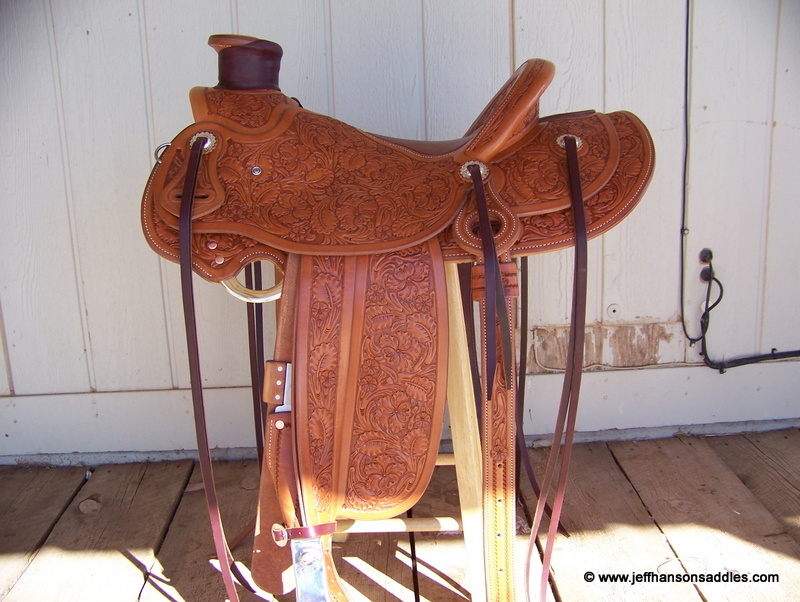 Early in his career, Jeff apprenticed under master saddlemaker Eddie Brooks in Elko, Nevada. 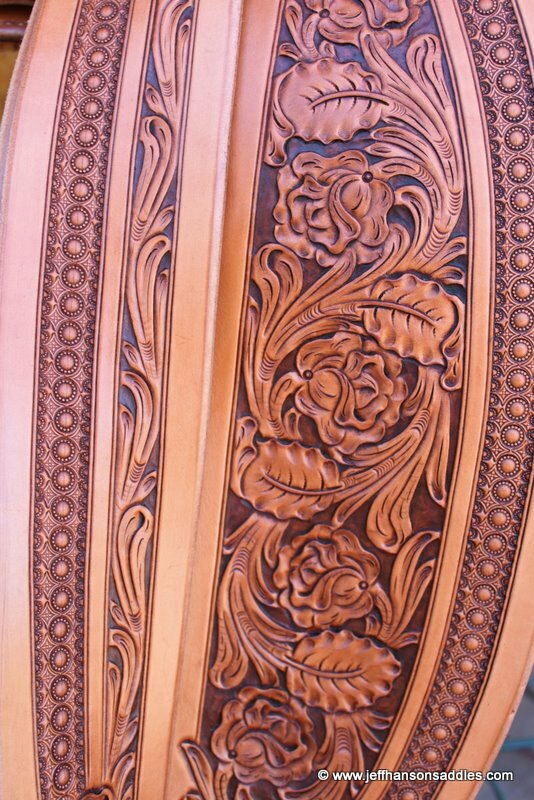 Jeff's list of artistic accolades includes exhibits at the Trappings of the West Art Show in Flagstaff, Arizona and exhibits at the Western Folklife Center in Elko Nevada with both saddles and rawhide. 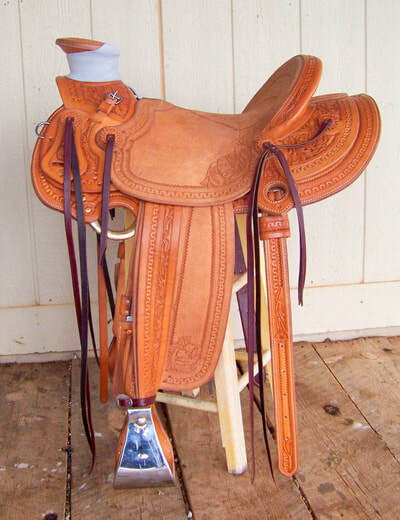 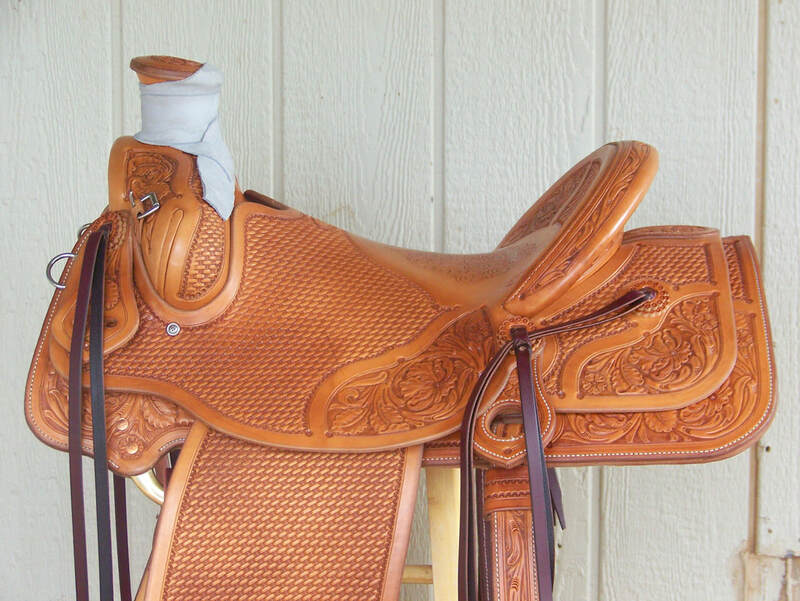 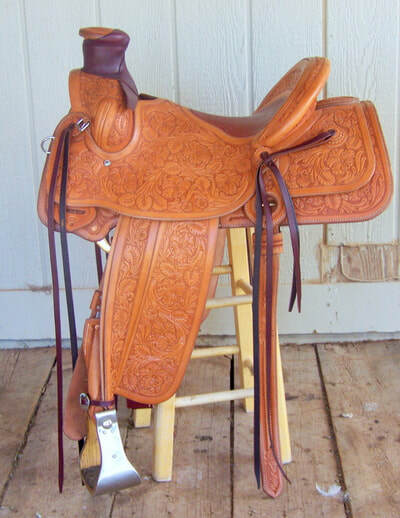 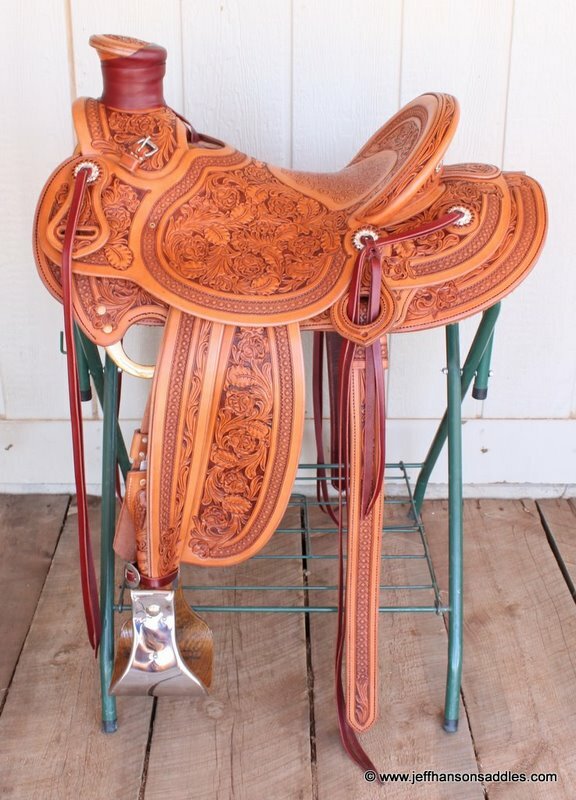 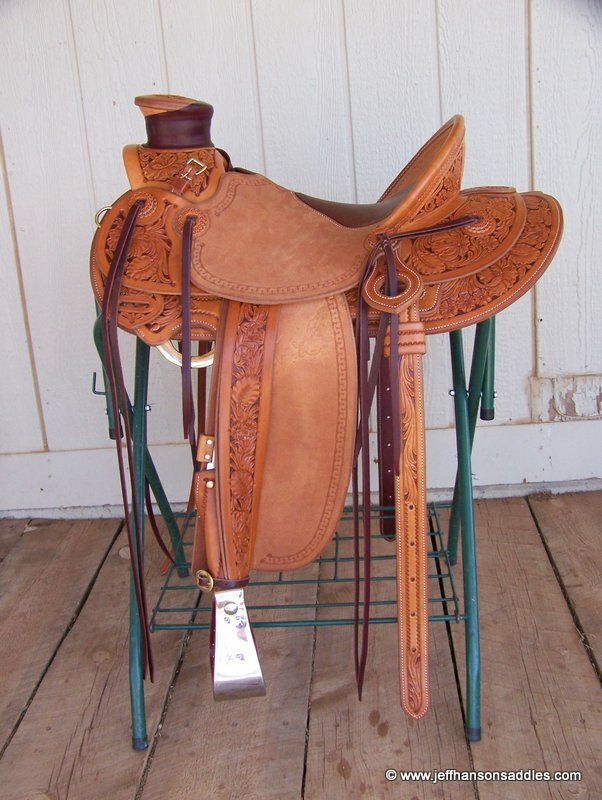 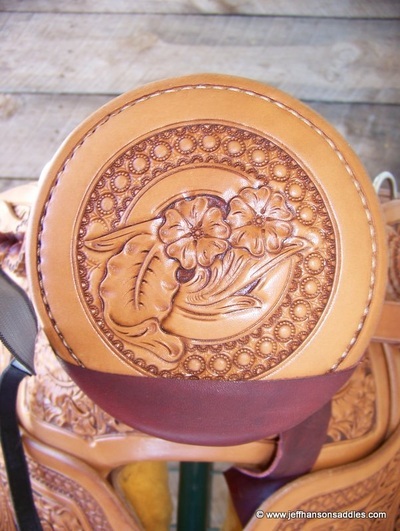 Jeff has spent his life in a saddle, cowboying and has also shown and won in numerous reined-cow-horse events, so he is aware of what you need for a working saddle or a show saddle. 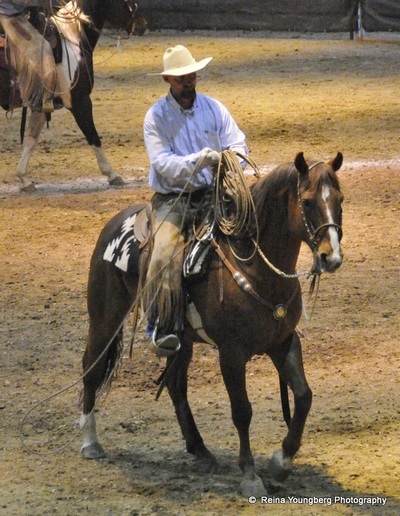 Jeff is also an outstanding rawhide braider. Jeff has roped at the Californios Ranch Roping event for eight of the ten years it has been in existence, being on the winning teams for doctoring three times, branding twice, and bull roping three times. 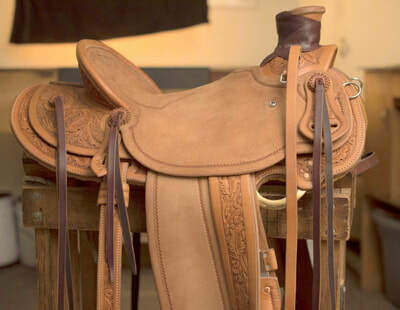 In 2010, he noted that out of the 39 saddles ridden in the arena there, eleven were made by him. 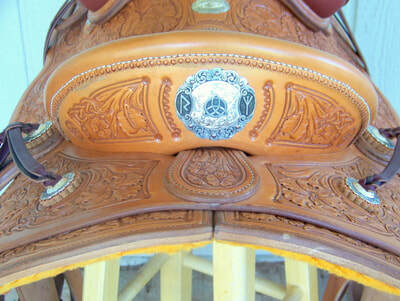 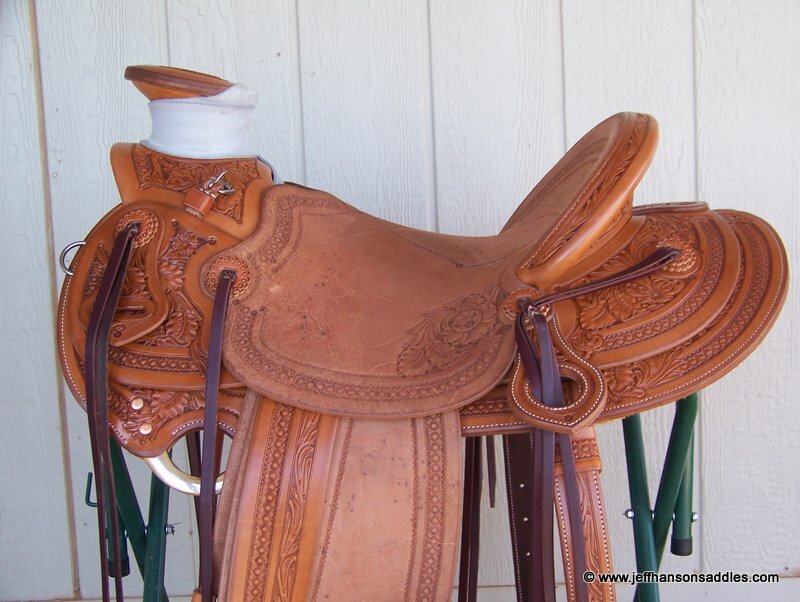 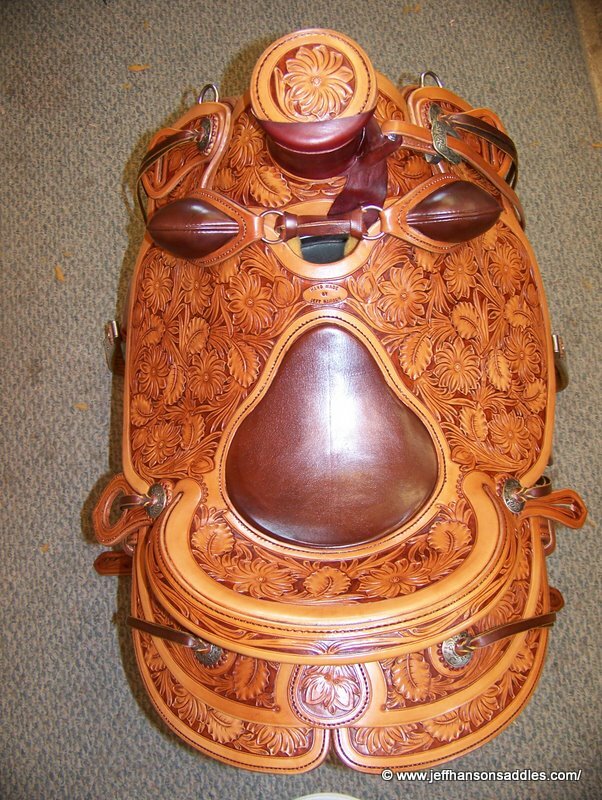 He has made one of the Californios trophy saddles for each of the last three years. 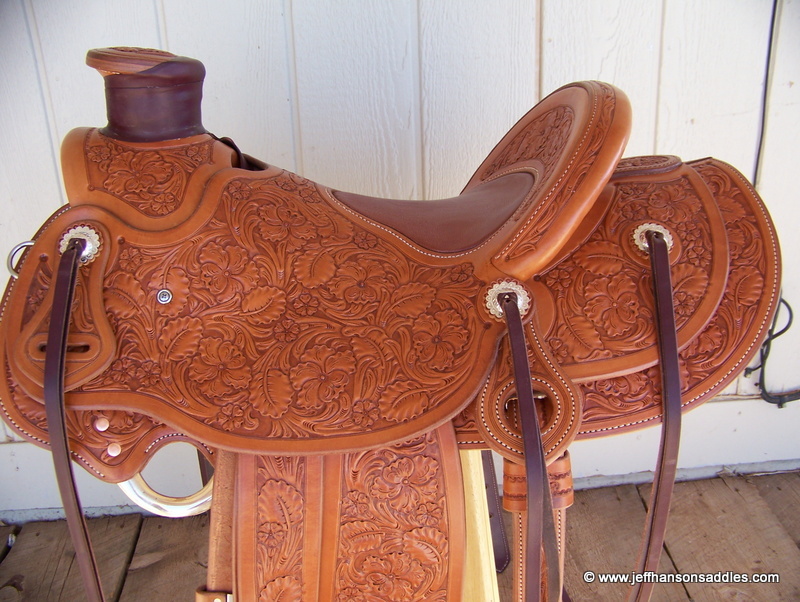 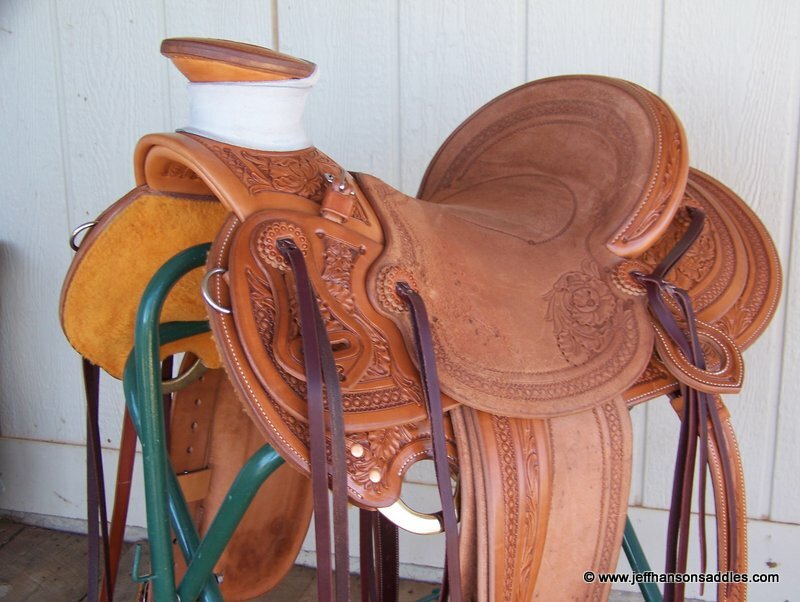 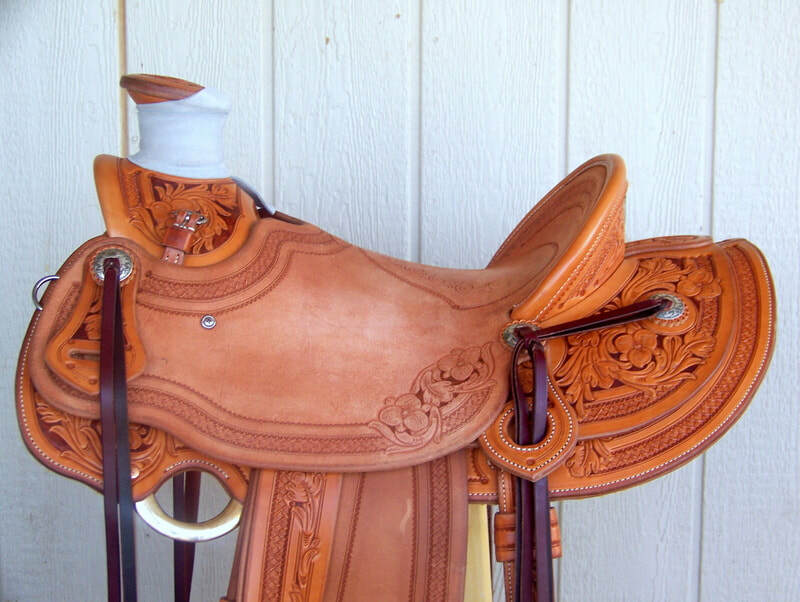 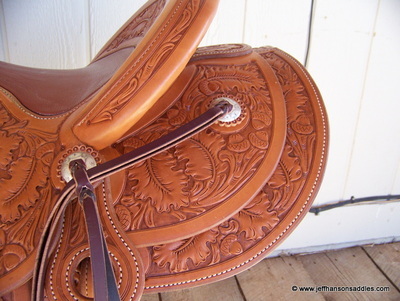 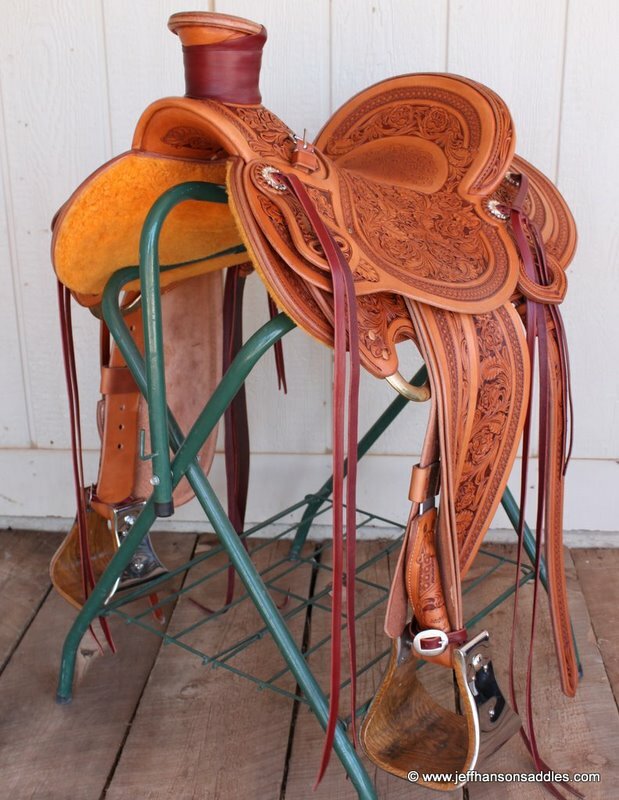 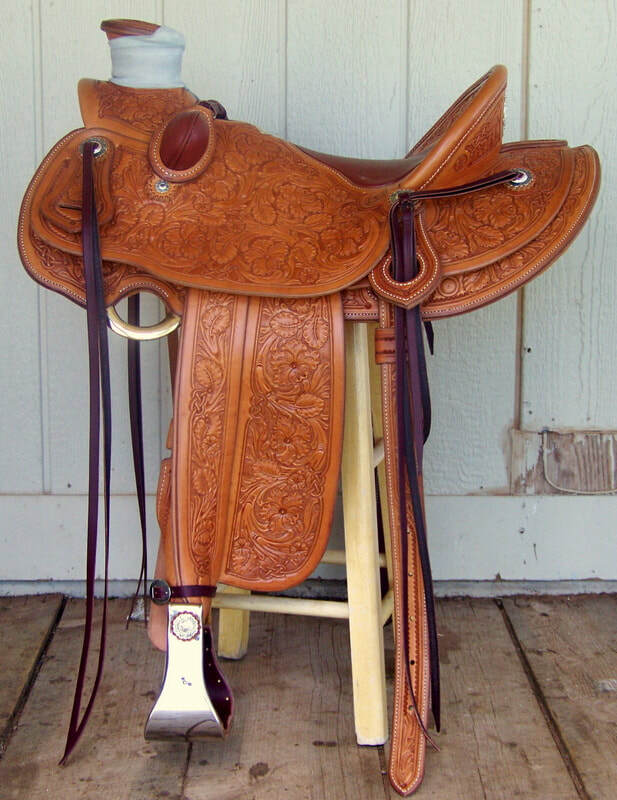 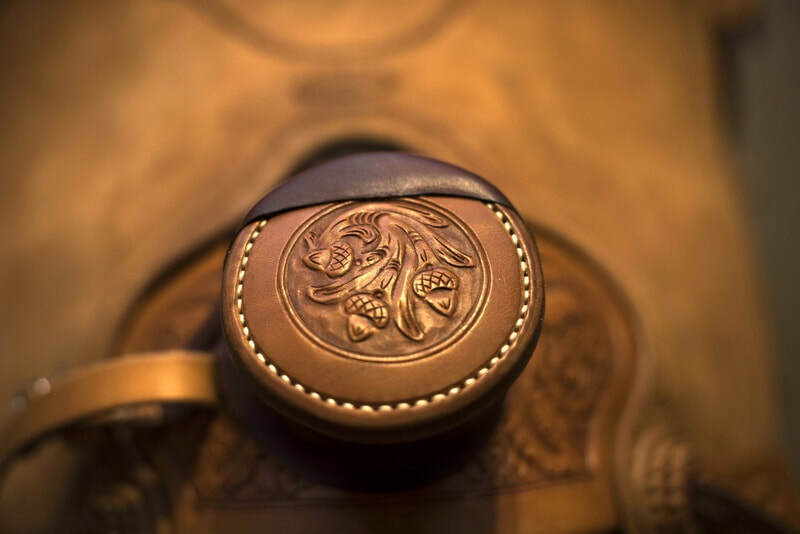 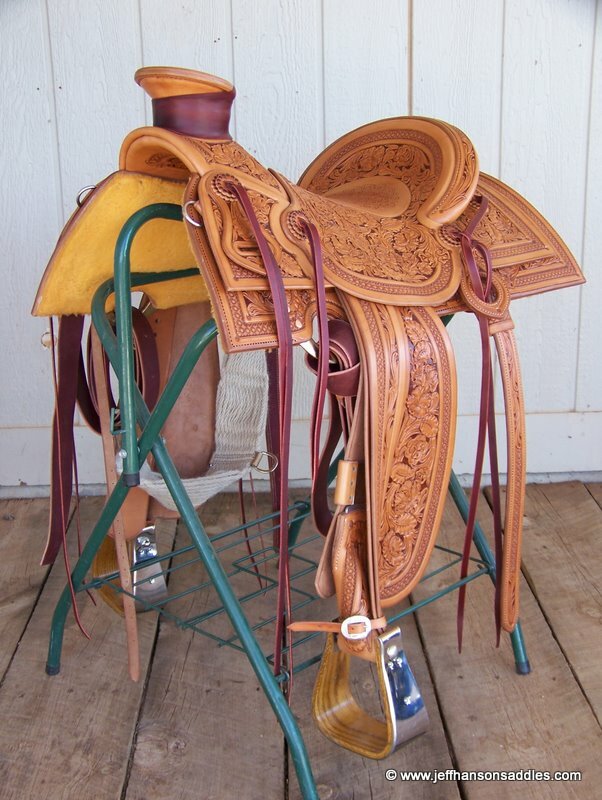 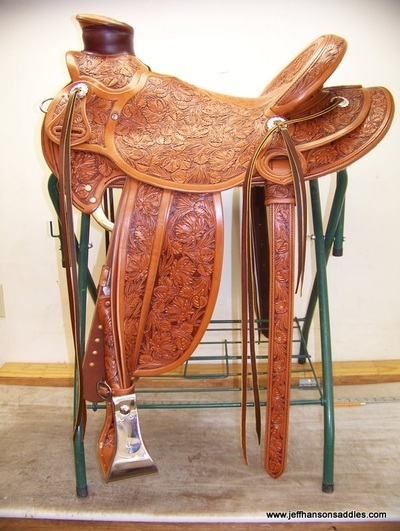 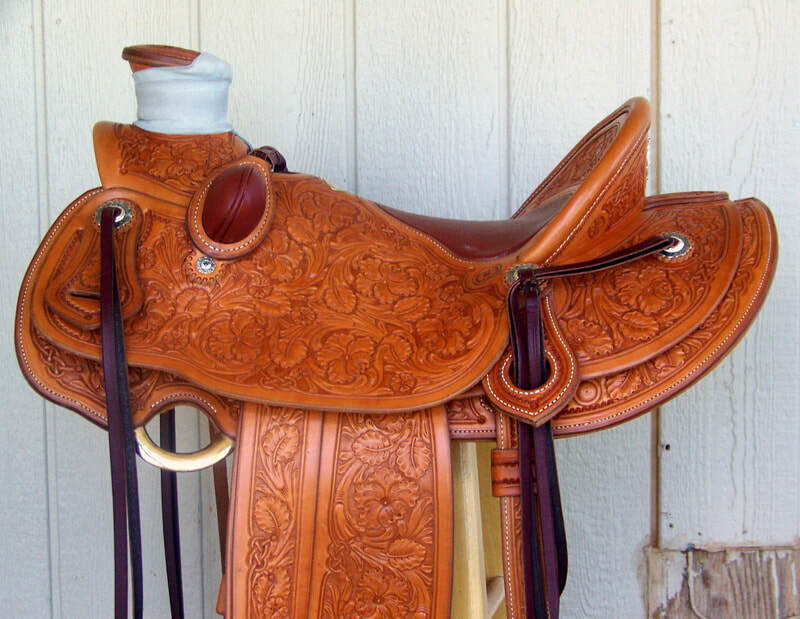 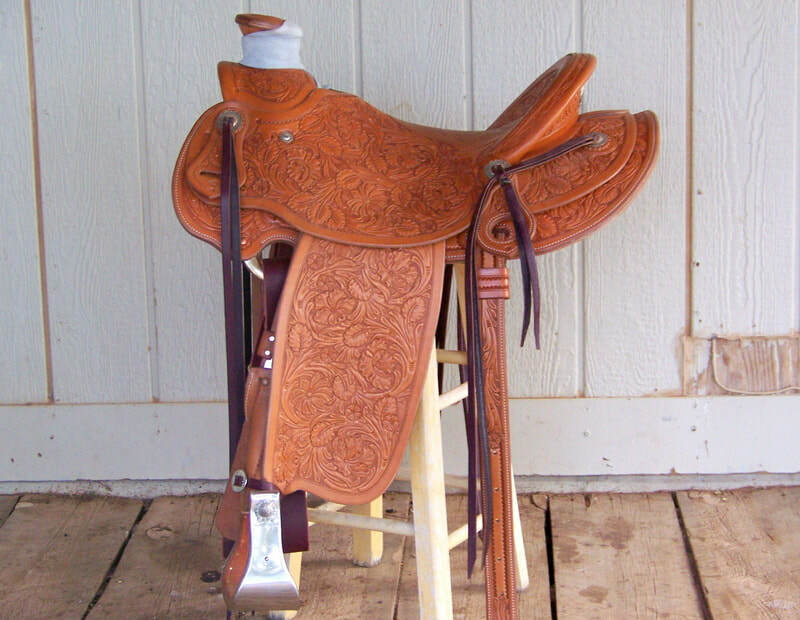 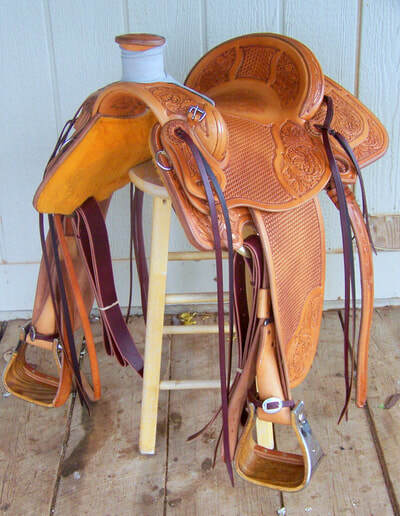 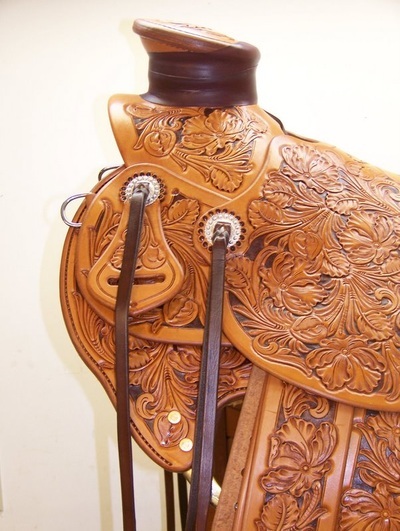 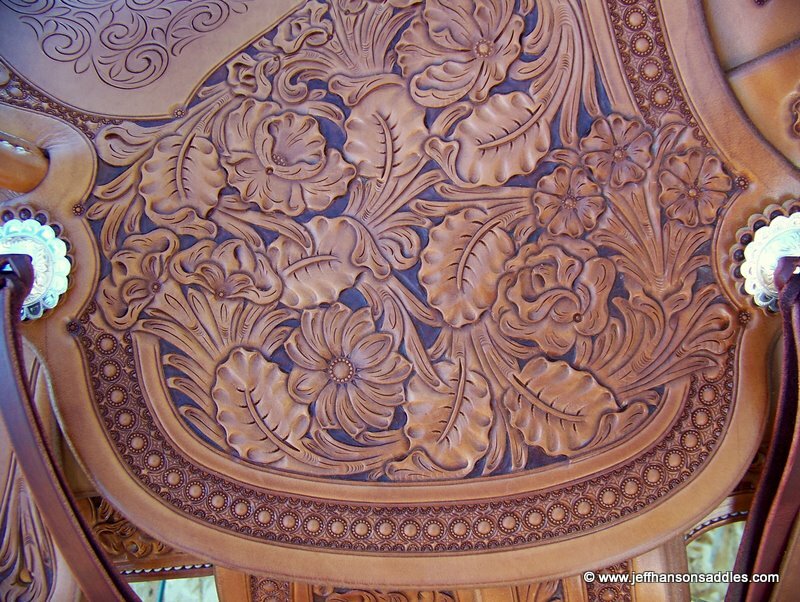 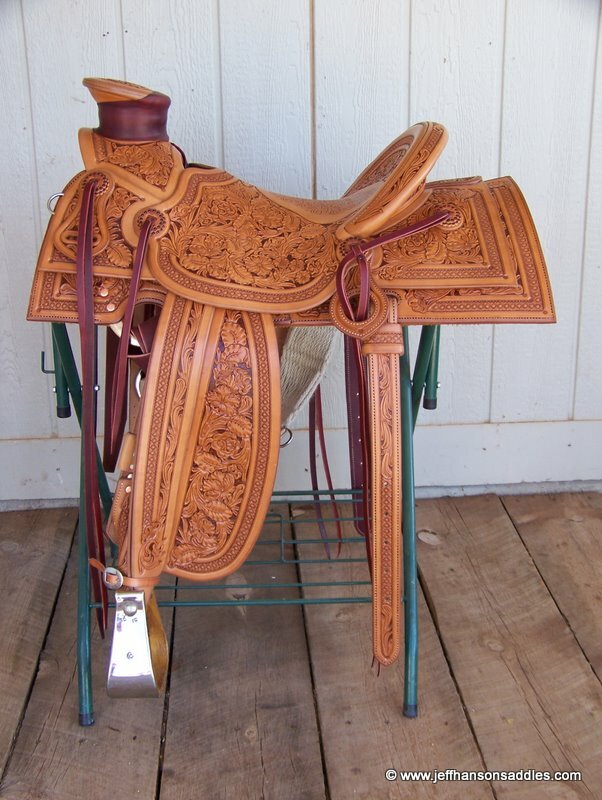 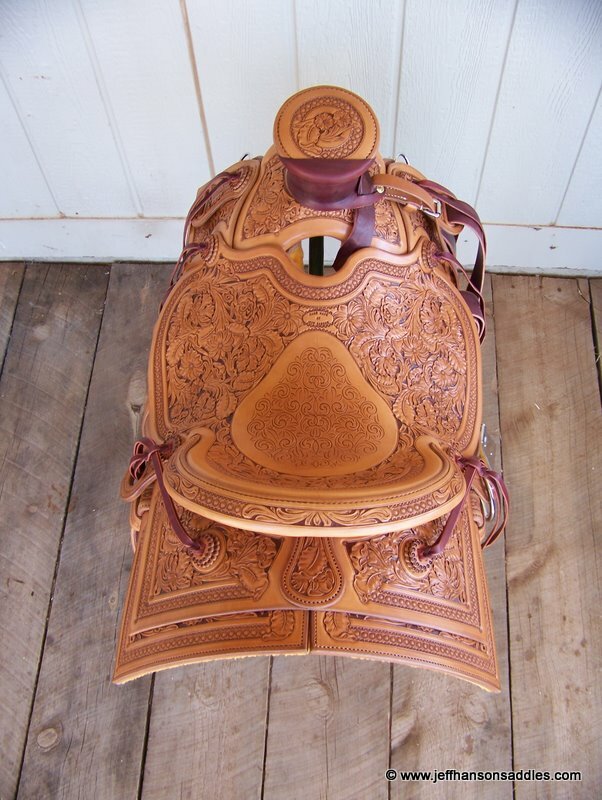 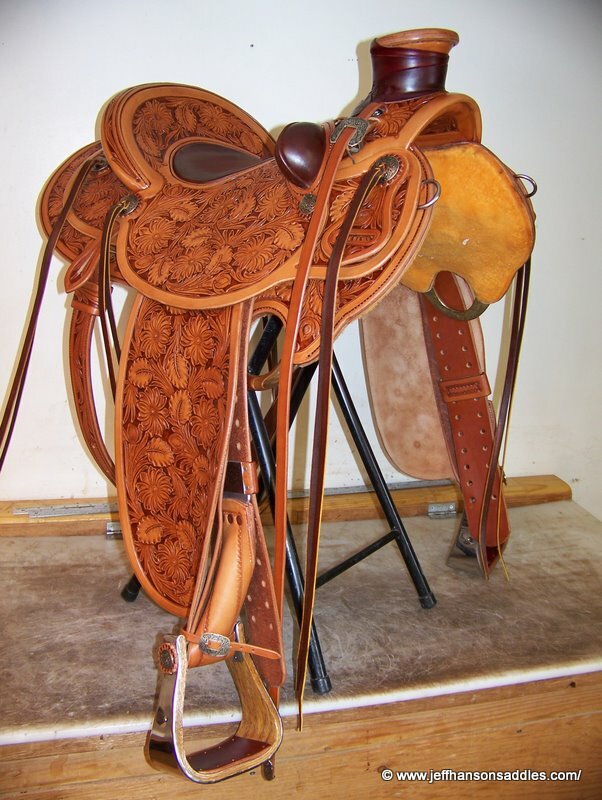 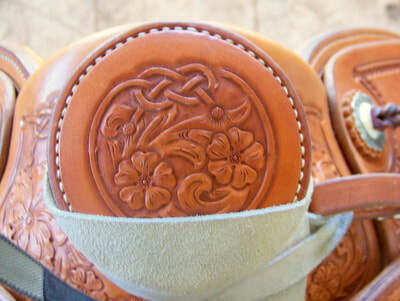 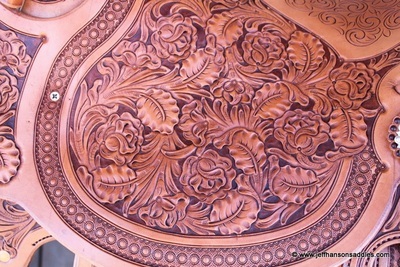 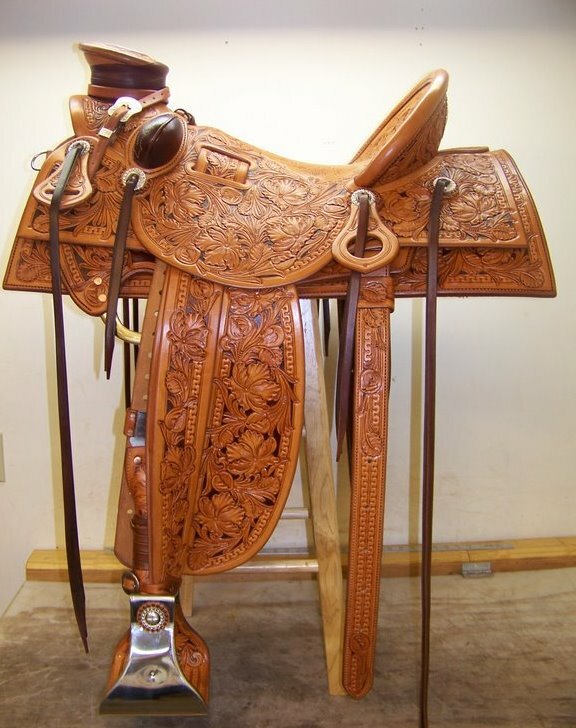 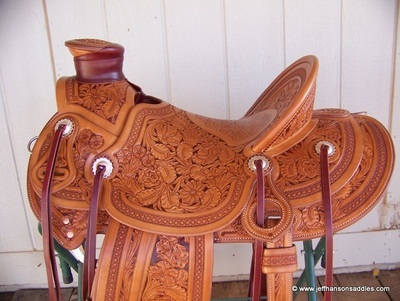 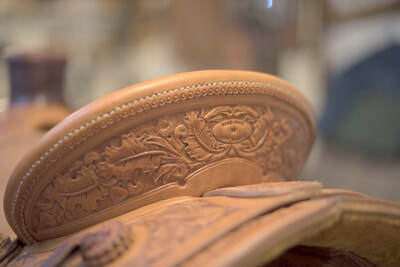 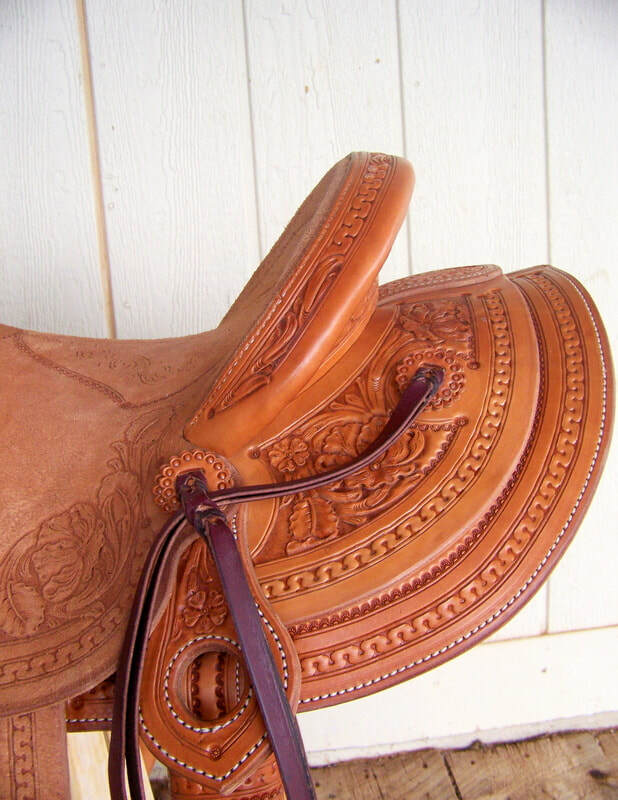 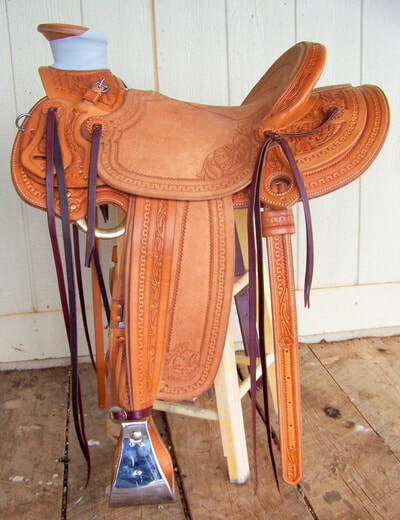 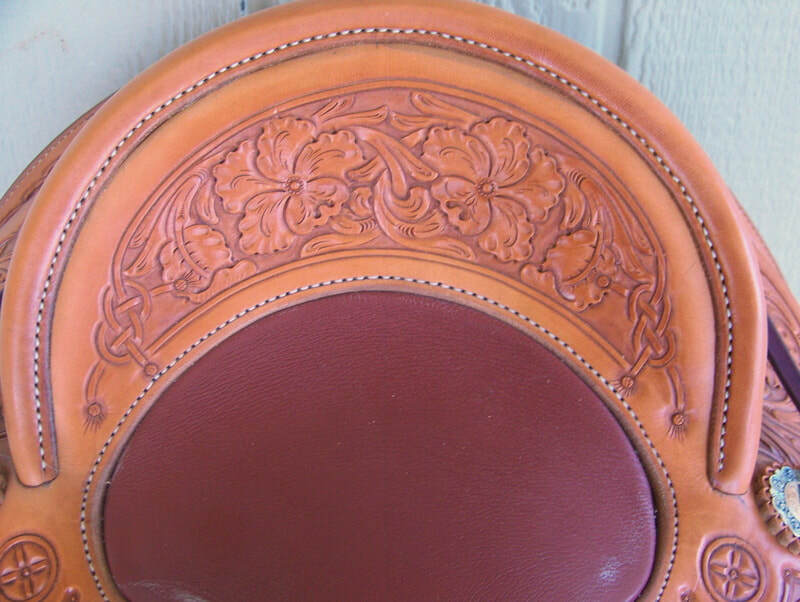 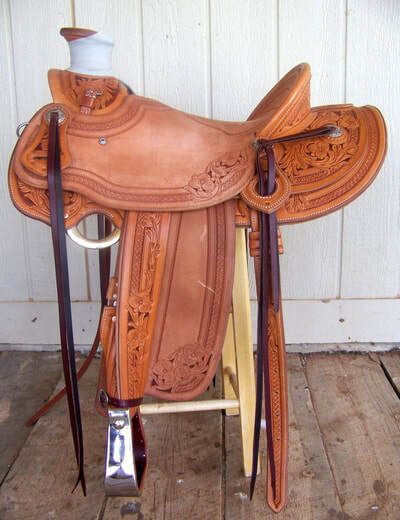 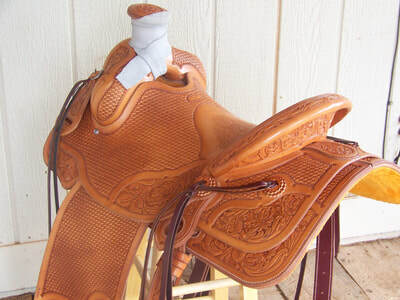 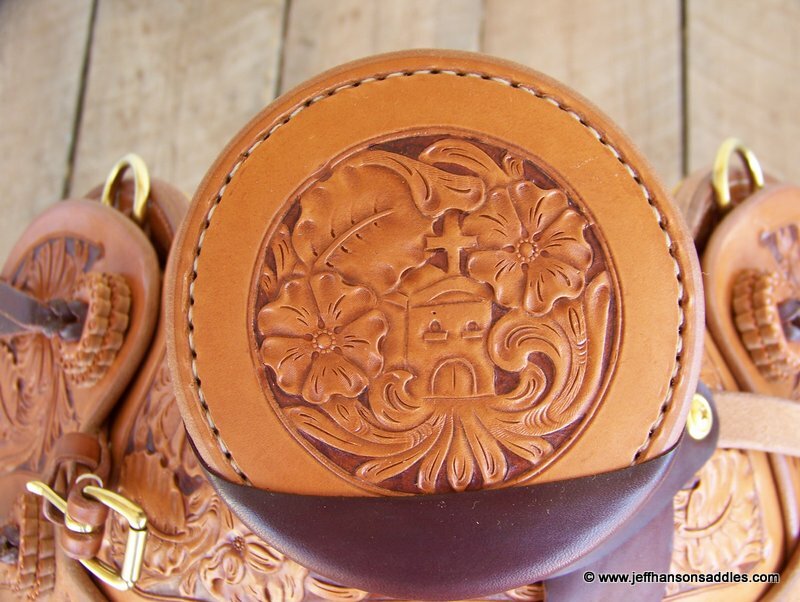 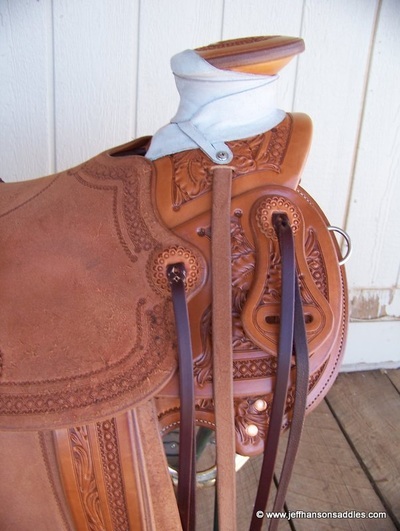 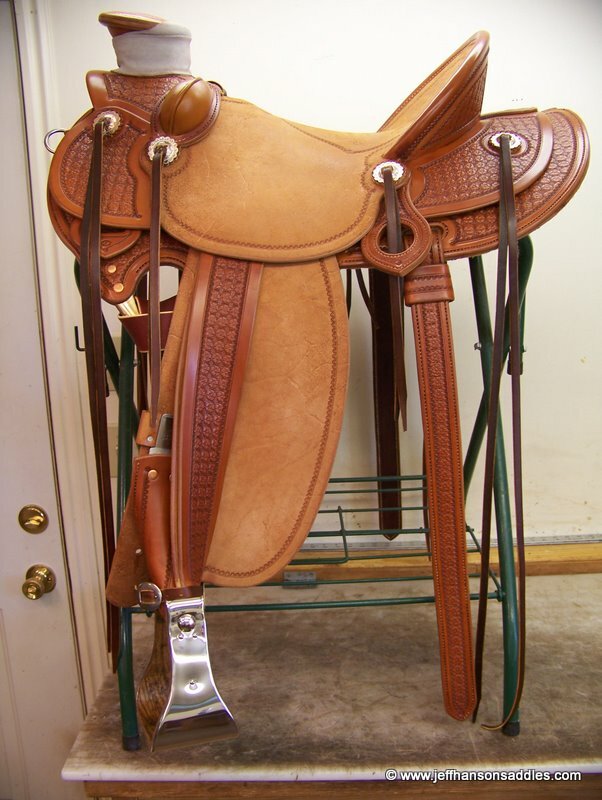 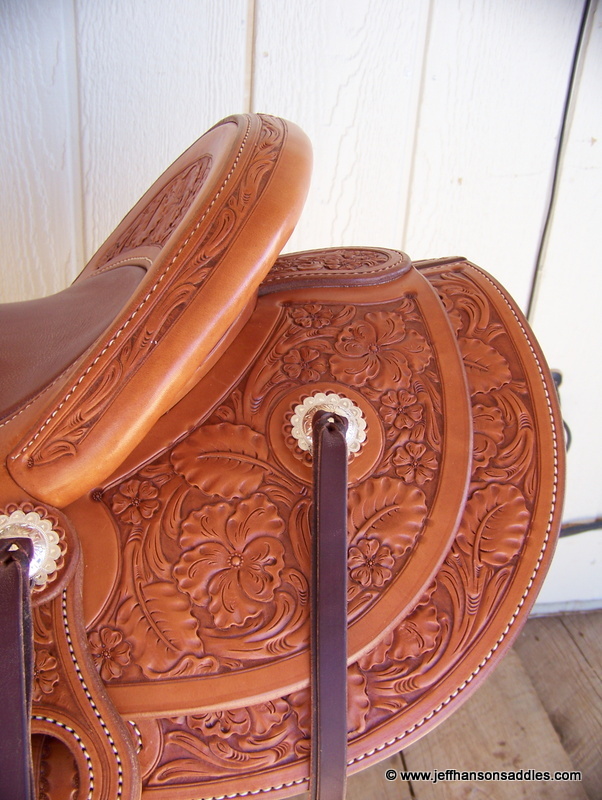 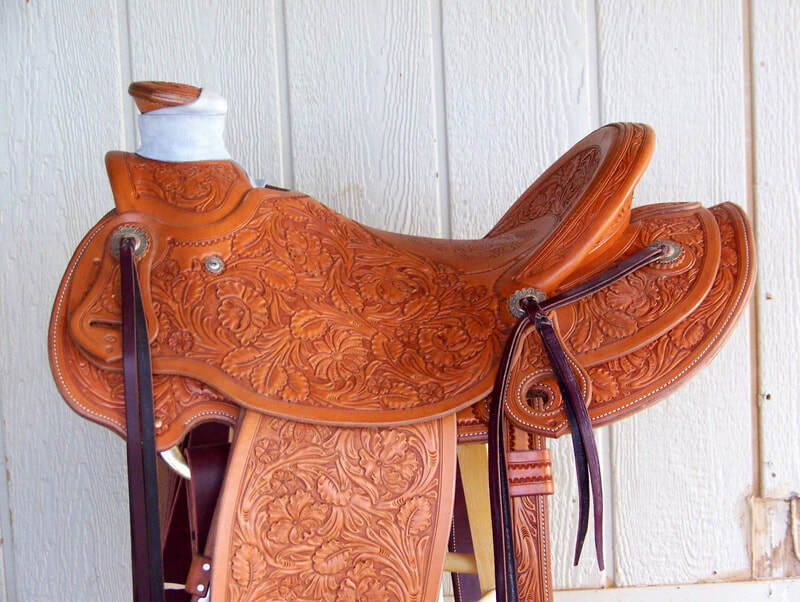 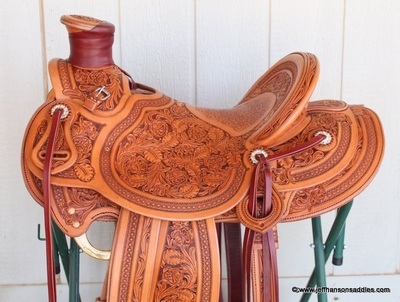 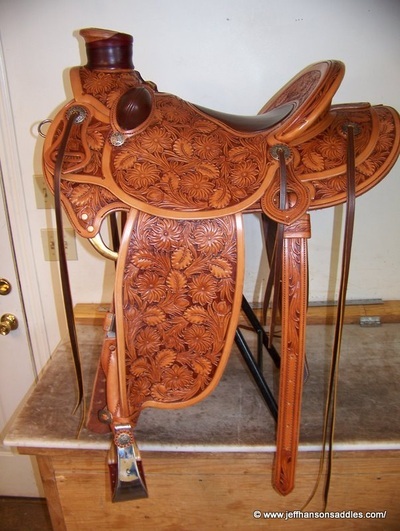 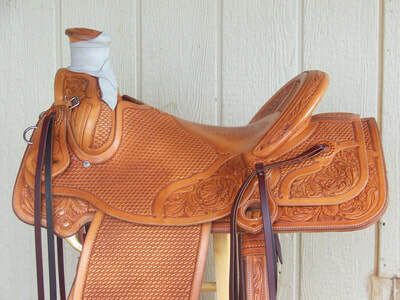 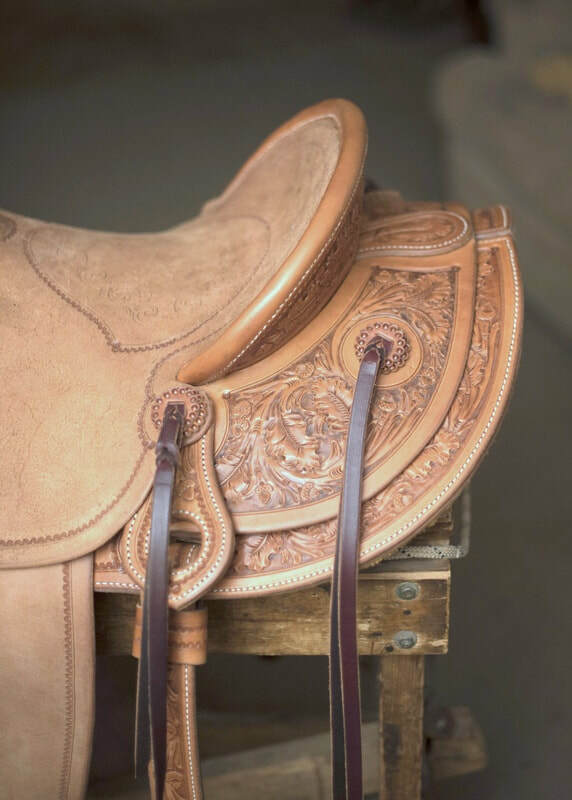 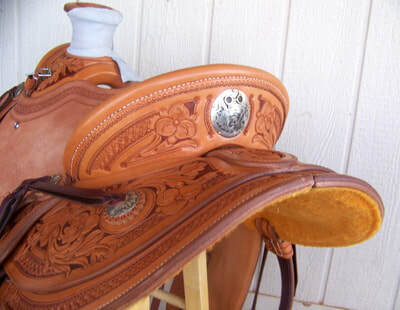 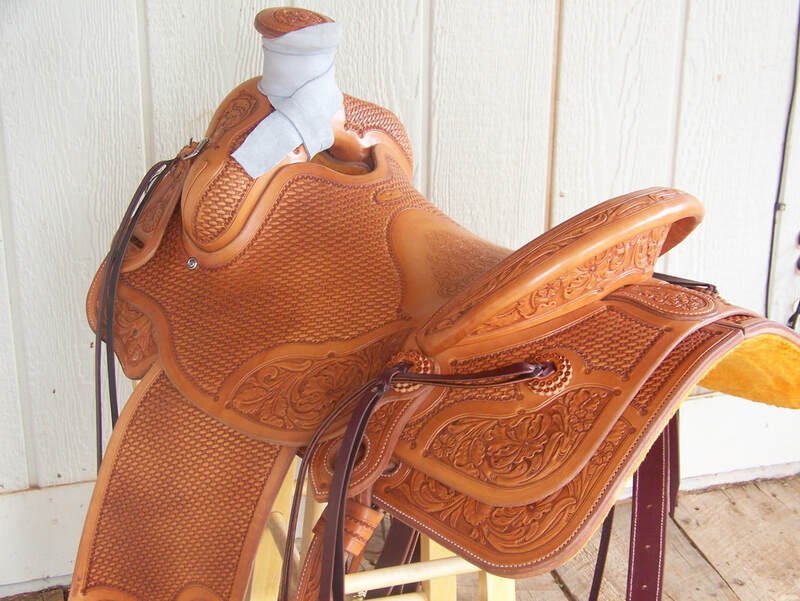 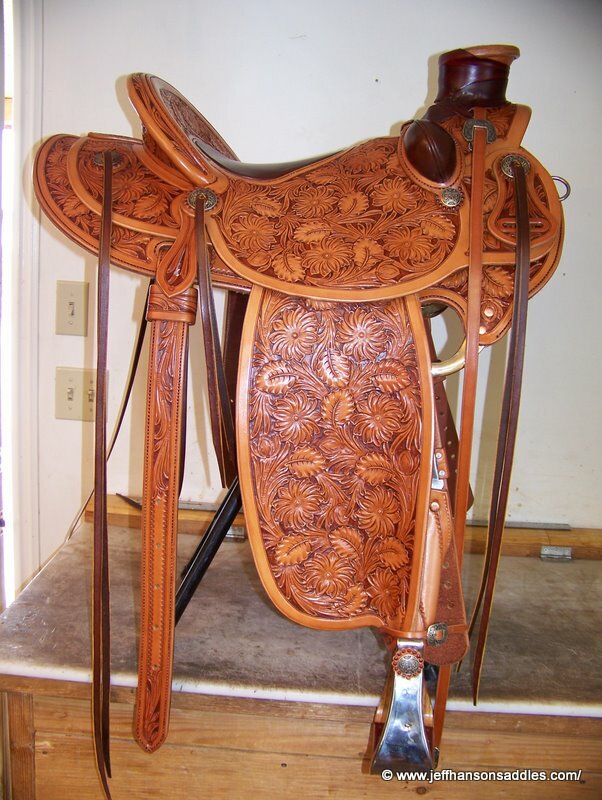 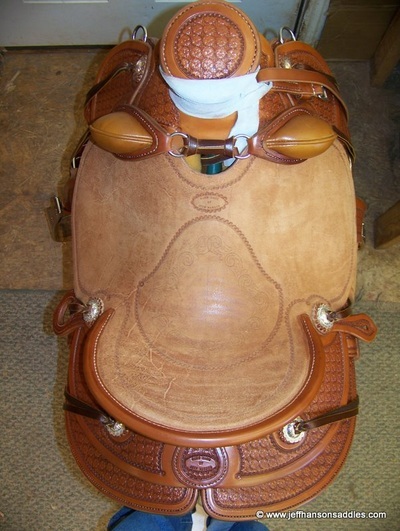 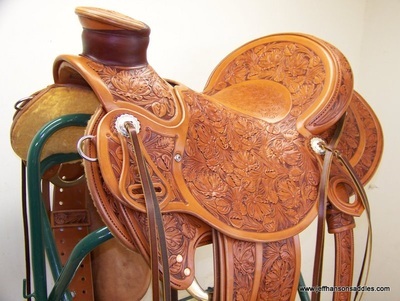 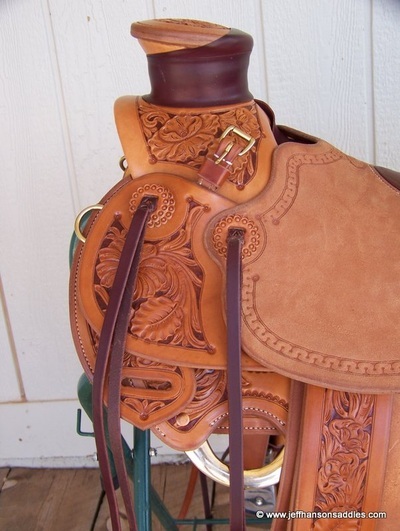 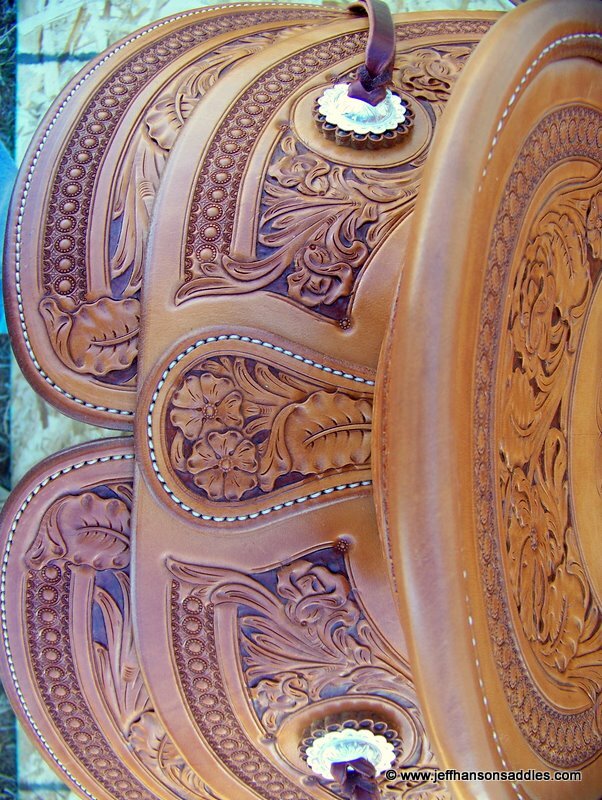 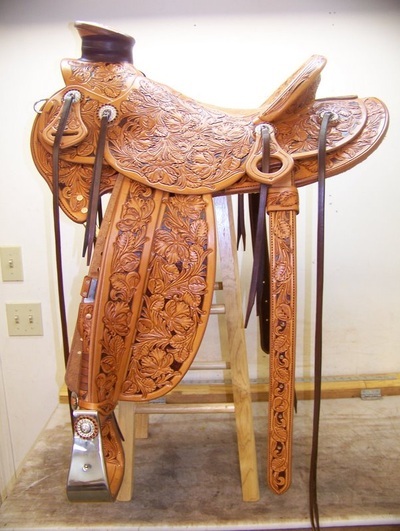 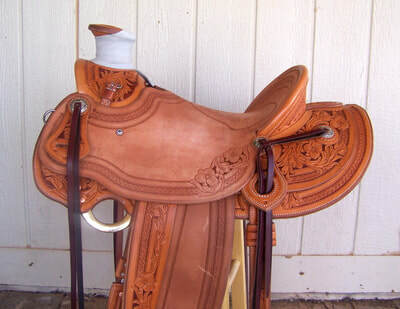 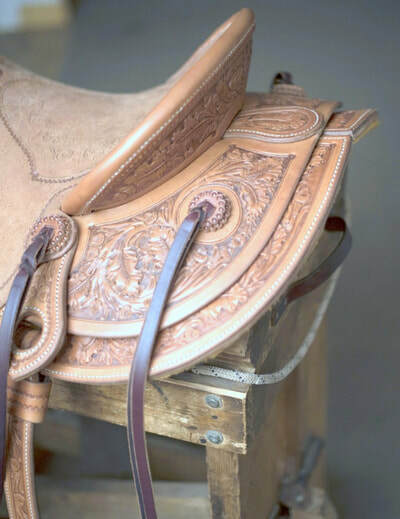 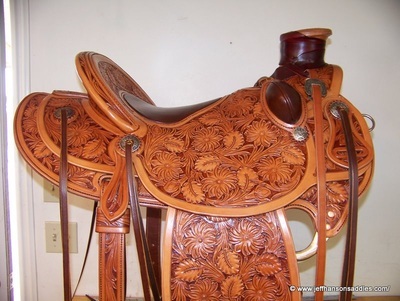 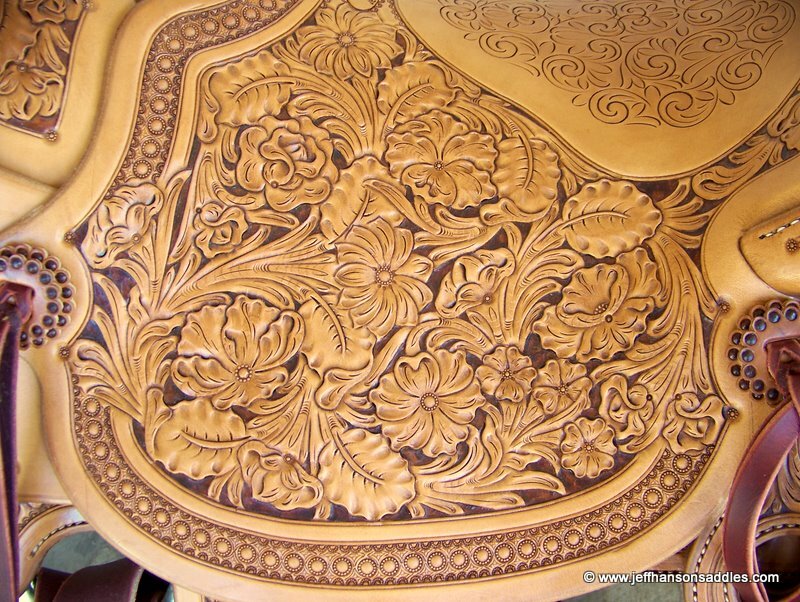 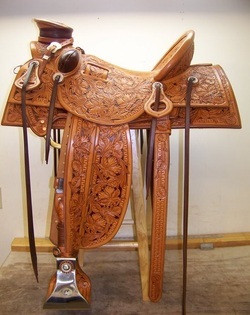 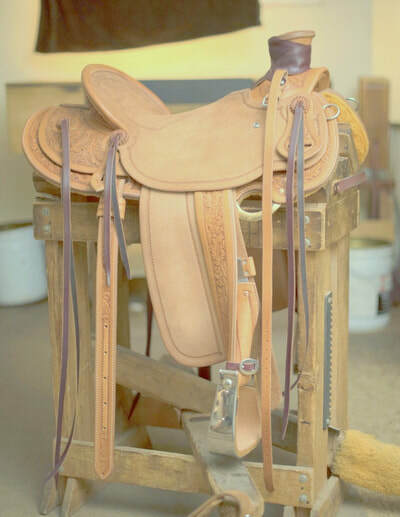 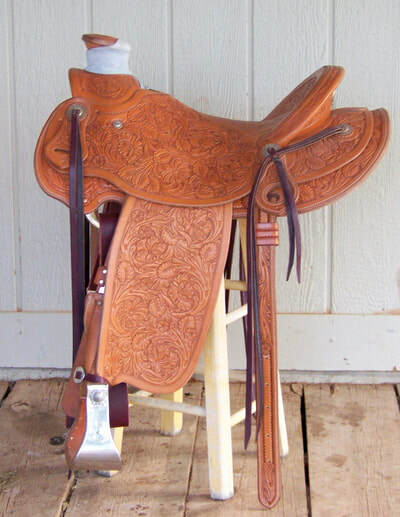 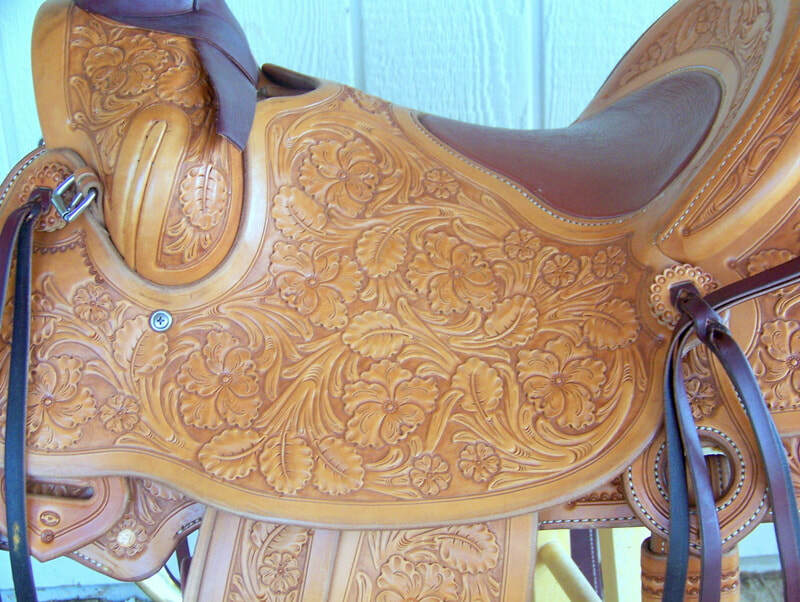 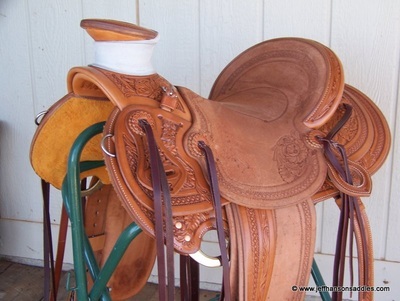 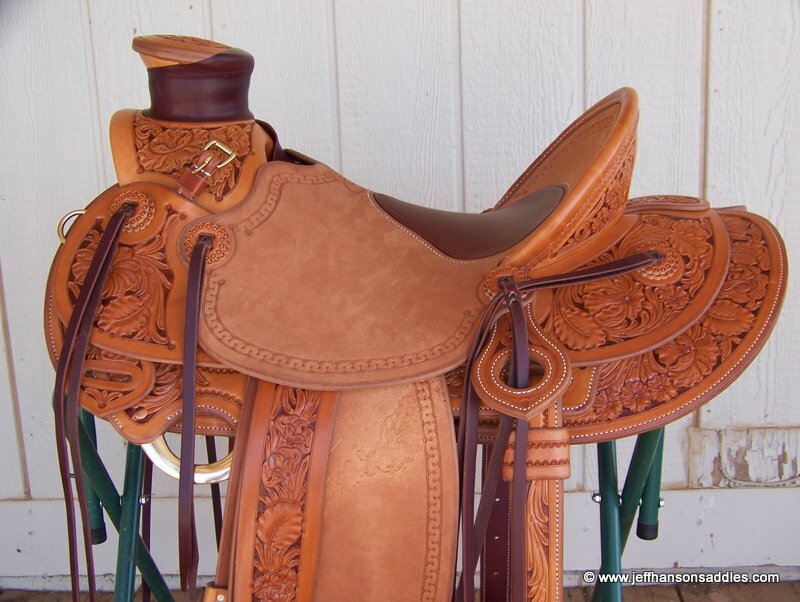 Jeff makes saddles for working cowboys and buckaroos, as well as performance-horse and pleasure-horse riders across the country including clinician Bryan Neubert, Dave Weaver, and Richard Winters of RFD TV. 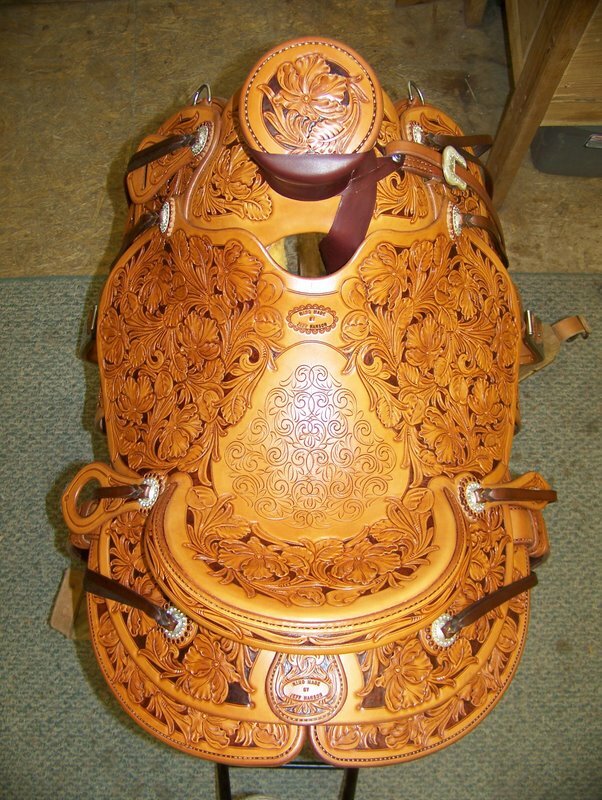 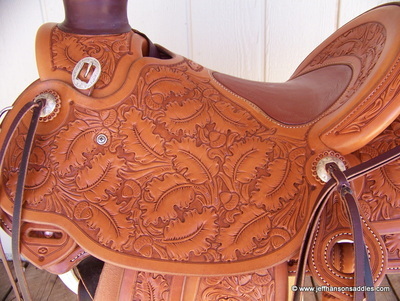 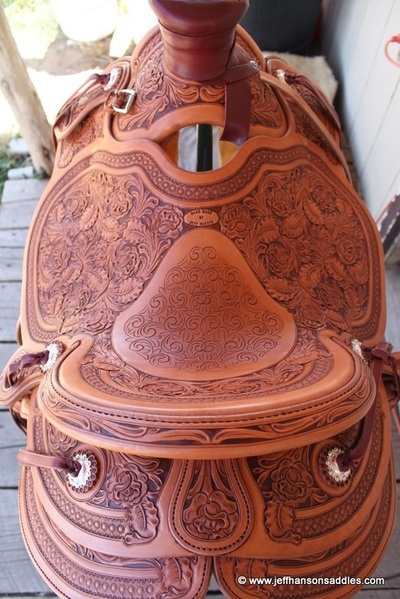 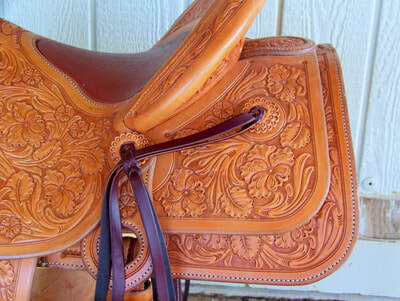 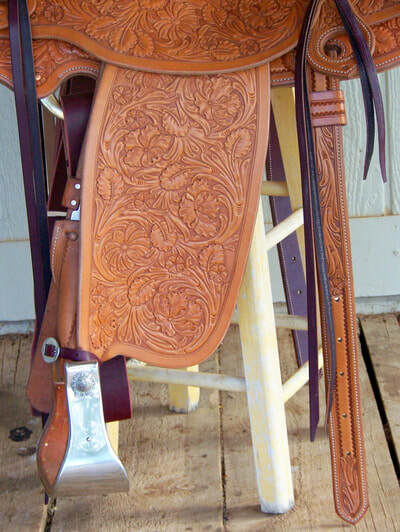 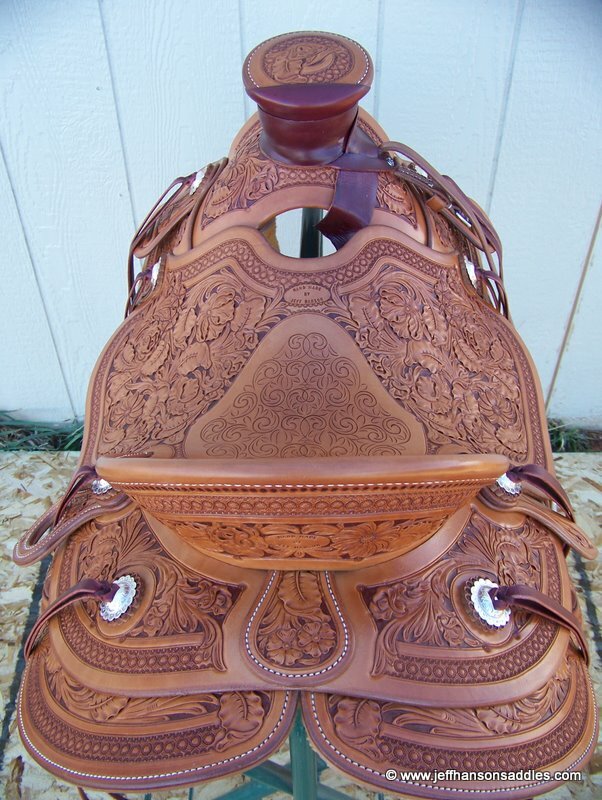 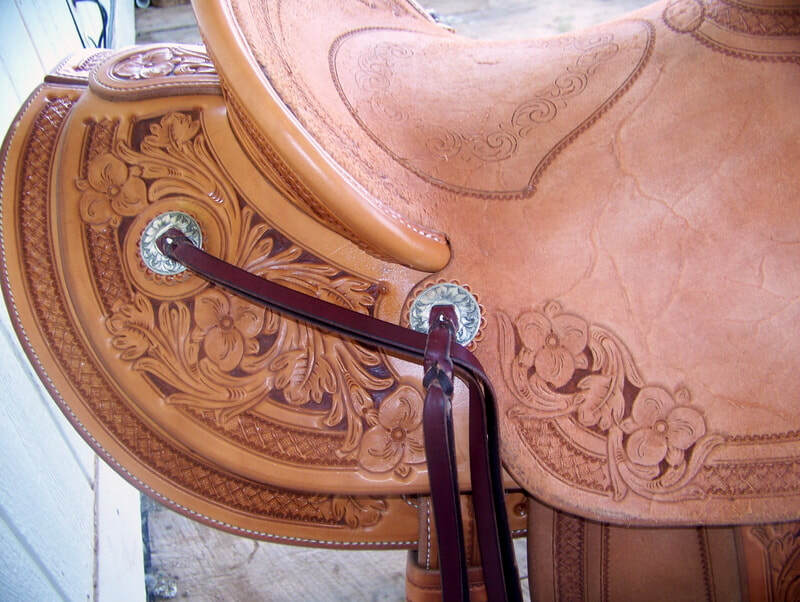 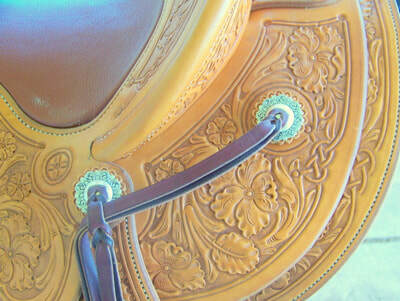 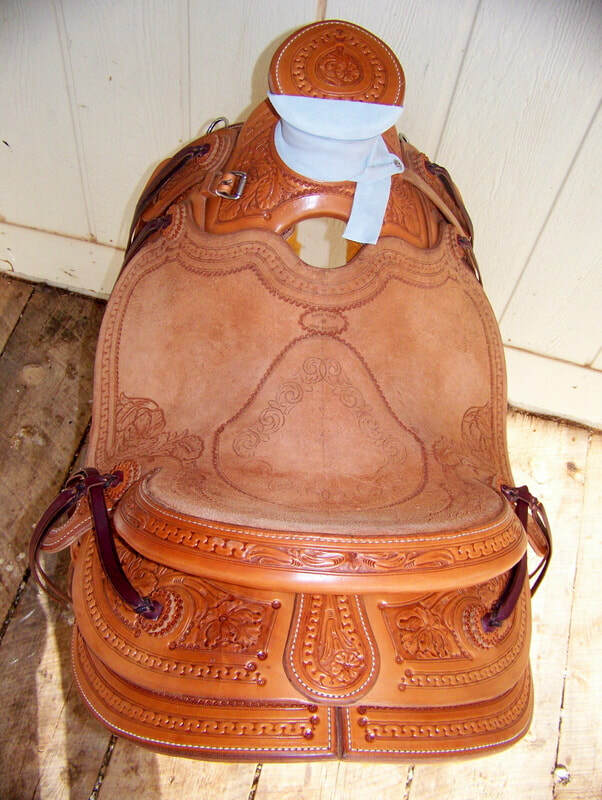 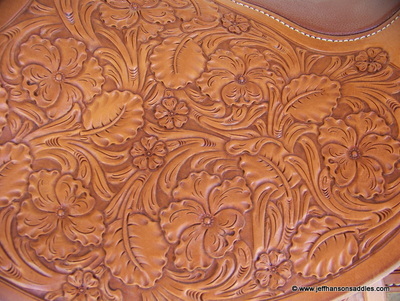 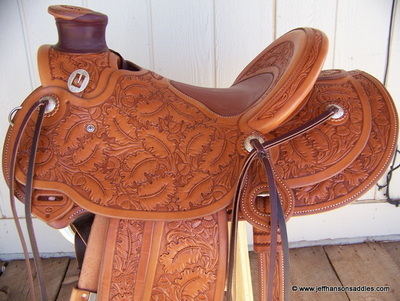 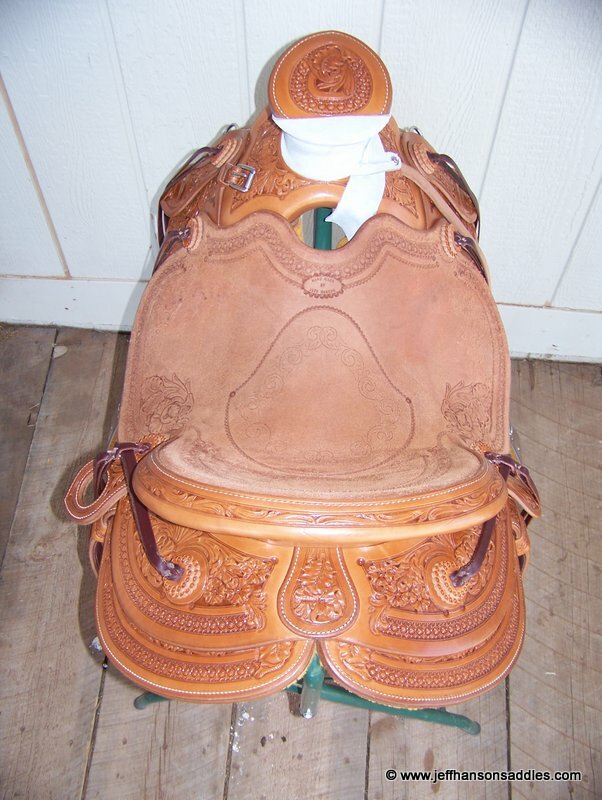 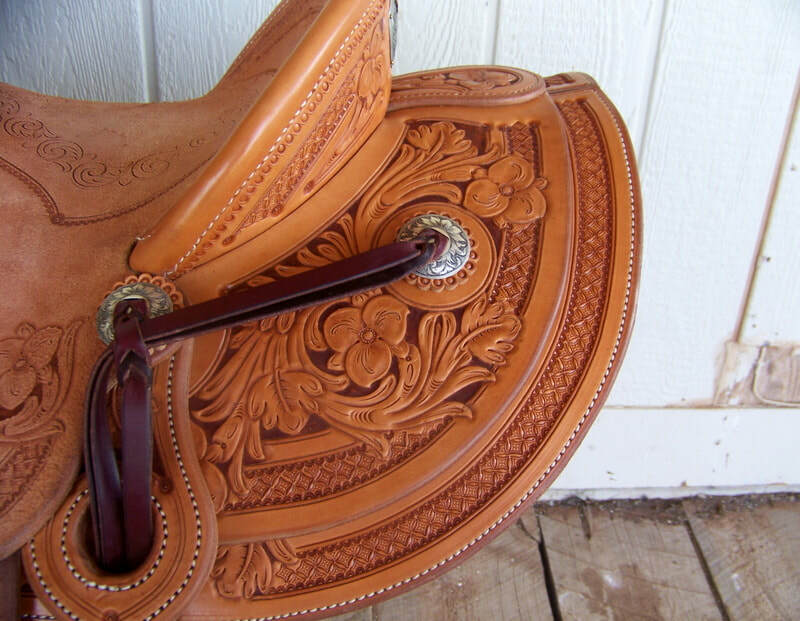 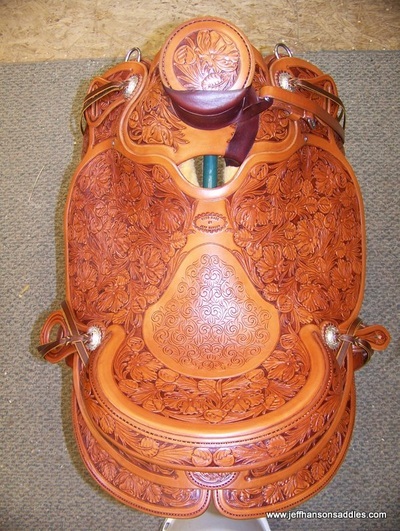 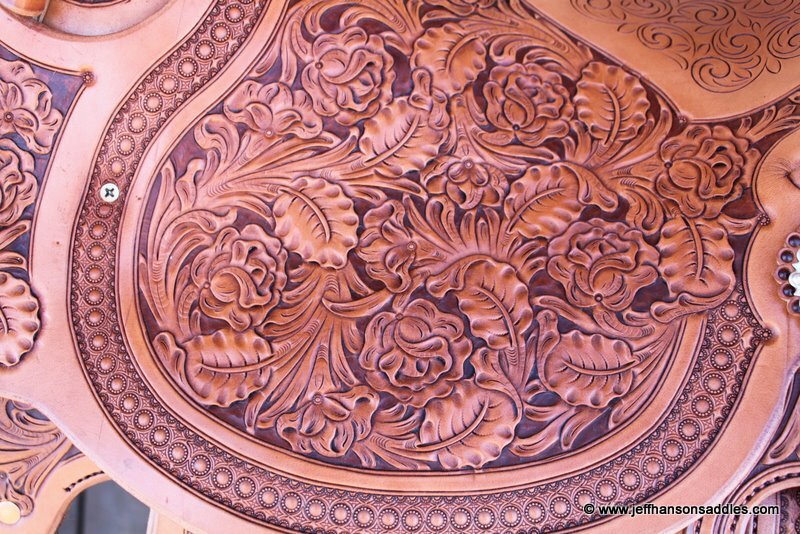 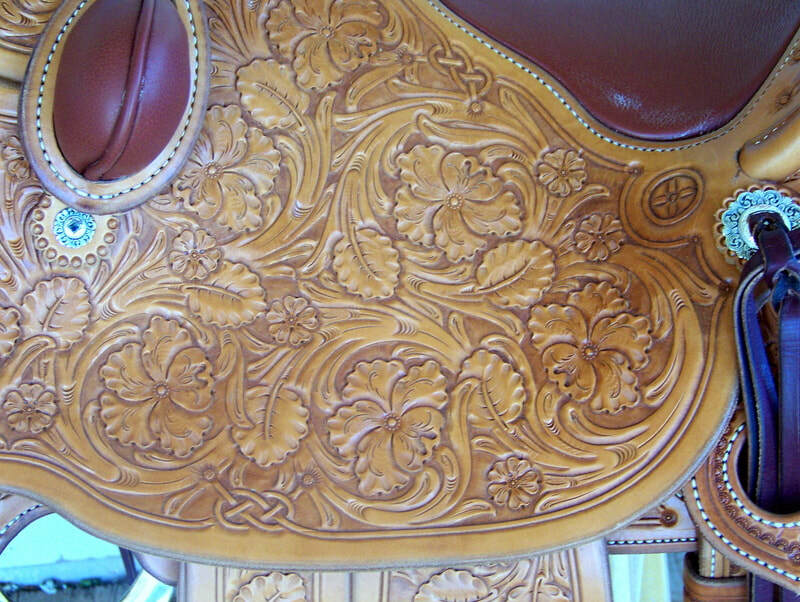 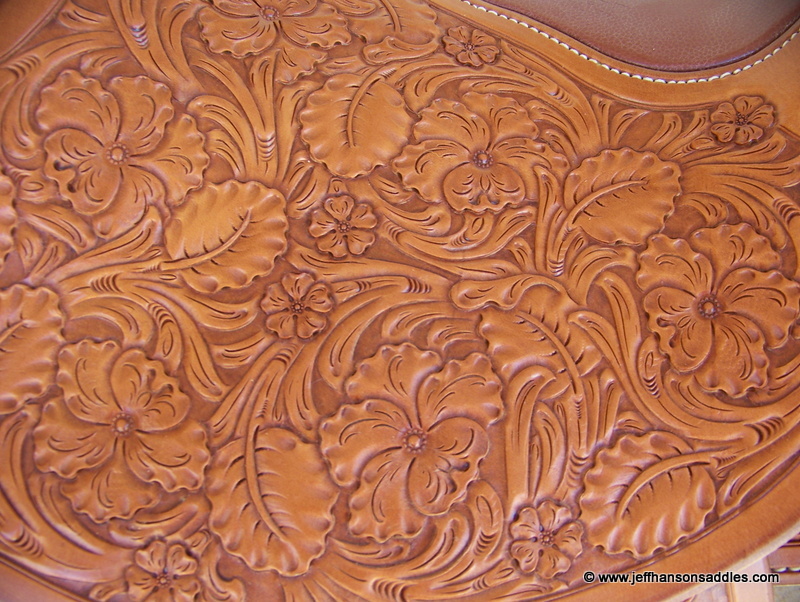 Call Jeff today at 435-459-9791 or email jeffhansonsaddles@gmail.com about your saddle and horse-gear needs. 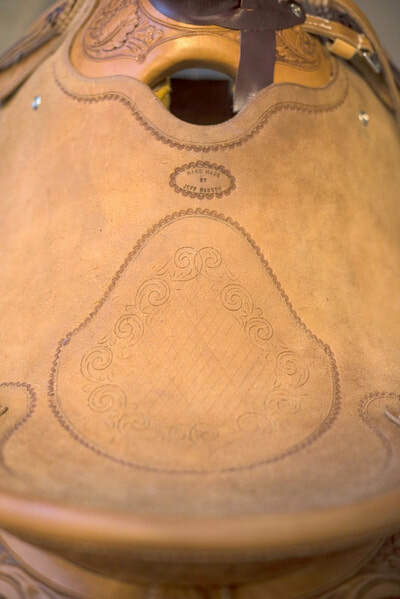 2014 Elko Gear Show Entry shown at the museum during the Elko Poetry Gathering. Full Oak leaf and Acorn Wade Saddle.